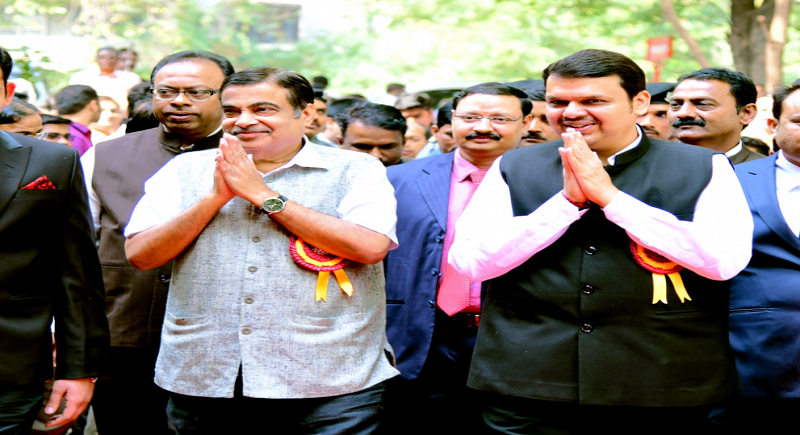 Nagpur, February 2: The city of Maharashtra CM Devendra Fadnavis - Nagpur, and that of Nitin Gadkari, who heads to lead the development of infrastructure in the whole country, laid the foundation stone for the annex building of Charity Commissioner office on Saturday in the presence of Ministers Ranjeet Patil & Chandrashekhar Bawankule. “With this mechanism of Charity Commissioner office, we are able to serve the last person of the society. So we need to make it more transparent, efficient, speedy and Government is taking all efforts required to strengthen this”, assured CM Devendra Fadnavis while addressing the masses on the occasion. The Maharashtra government is aiming to grow its economy to $1 trillion by 2025 from the present $390 billion. The demand for infrastructure, therefore, is set to expand significantly in the near future and, to meet it, the State government is expediting urban projects such as metro rail, monorail, airports, water and sanitation. Over the past few years, the State has undertaken several massive projects, including metro rail corridors worth ₹1.4 lakh crore in Mumbai, Navi Mumbai, Nagpur and Pune. Meanwhile, the Industry officials and experts both agreed that the city and the state are witnessing a huge thrust on infrastructure development, which was missing for the past few years.